One thing that never ceases to amaze me (or anger me or depress me), is that there are so many good things going on in the world, so many that it’s hard to keep track of them or even know about them, all because you won’t hear about much of it in the mainstream media, where bad news overwhelmingly dominates. Case in point, I came across something today via Twitter that is incredibly heartwarming, a project by the folks at The John Lennon Educational Tour Bus, a non-profit organization I just learned about, that crisscrosses the country in a bus, decked out with state-of-the-art audio and video equipment, providing educational and creativity opportunities for young people. Last Monday, Yoko Ono celebrated her 80th year existing on this earth. Given that her time here has been so full of love that she has spread all over the world, we wanted to do our best to give a little bit back. While parked just outside the Academy of Contemporary Music in Oklahoma City, we started on a project with the hopes of creating something that resembles what peace might sound like. With the help of ACM students, Steven Drozd of the Flaming Lips, and the local population, we present to you the results of our week of work in Oklahoma. Happy 80th Yoko! 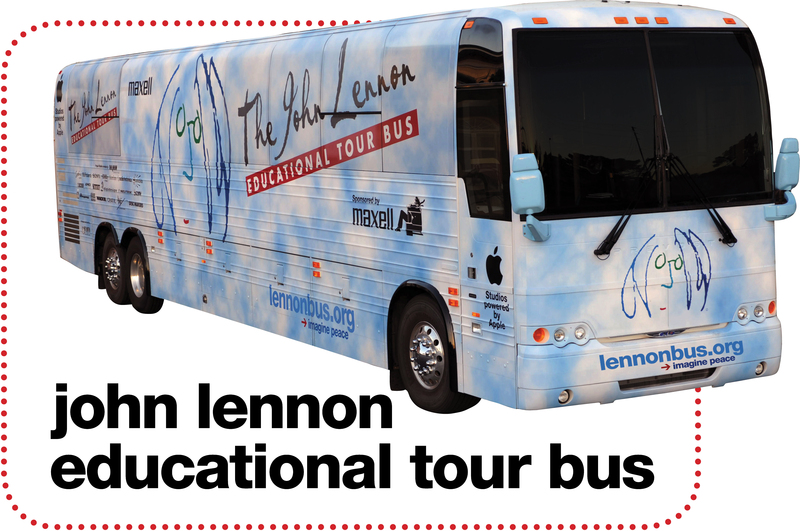 It turns out that the The John Lennon Educational Tour Bus has been around for 16 frickin’ years, but I’m only just now discovering them?! There are many, many more examples of this, and I can’t recommend enough taking time out from the mainstream media in order to go looking for positive news. It is good to be reminded that there is “good news” out there.